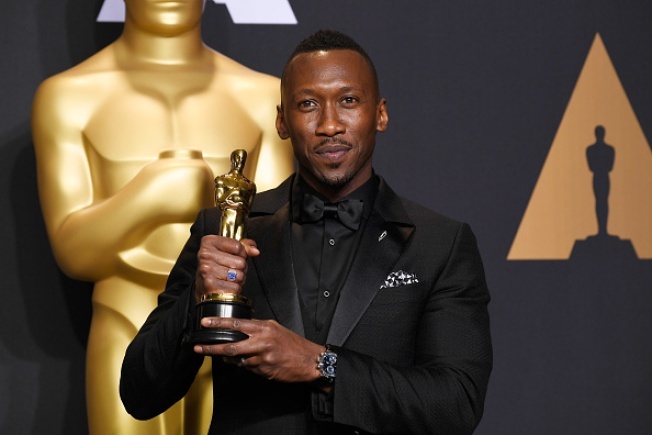 The Bay Area’s own Mahershala Ali had a big night at the Oscars, as he took home the award for best supporting actor and "Moonlight" won best picture. Ali, who grew up in Hayward, graduated from Saint Mary’s College, and those who knew him then are celebrating his success. Ali graduated from Saint Mary's in 1996, and in his acceptance speech Sunday night, he recognized those in the East Bay who had an impact on his career. "I want to thank my teachers, my professors," he said. "I had so many wonderful teachers." Rebecca Engle, Ali's first theater director at Saint Mary’s said that lines up with the Ali she remembers. "I’m thrilled, I’m moved, I’m proud," she said. "I could cry at the drop of a hat." Ali was born in Oakland, raised in Hayward and played basketball at Saint Mary's. Engle met him on a panel to introduce faculty to the stories of students who had challenges in their background. "My memory of him is still really powerful from the things that he said," Engle recalled. "It was clear that he is an old soul. He was wise, direct and honest about the things he said." Soon after that introduction, Engle reached out to Ali about acting. He appeared in two plays, and the rest is history. Engle followed his career for years before his standout performance in "Moonlight." "If you look at what he has done in the past year and the kind of depth of humanity that’s he’s brought to these very different roles is remarkable," she said. Last year, Ali returned to Saint Mary's to deliver a commencement address, and he sat down recently for a lengthy interview at the campus. The college community is hoping to see him again soon. "We’re hoping to get him to come back and do a screening of 'Moonlight,'" Engle said. "I think the idea came from him, and if we wants to make that happen, the students would be thrilled to welcome him back."